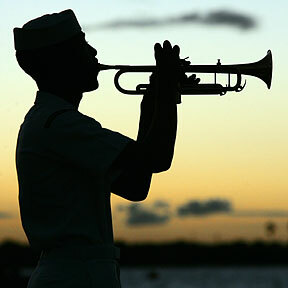 65 YEARS AGO TODAY: Navy bugler MU3 Anthony Chiles played taps during yesterday's sunset memorial service at the USS Utah Memorial on Ford Island. Today is the 65th anniversary of the attack on Pearl Harbor. The Iraq Study Group's long-awaited report calls for an overhaul of U.S. policy to avoid "a humanitarian catastrophe"